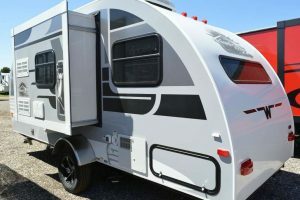 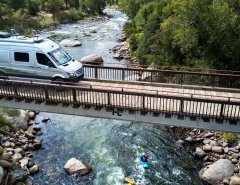 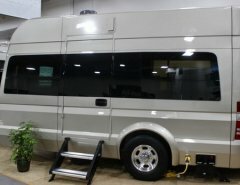 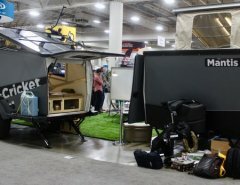 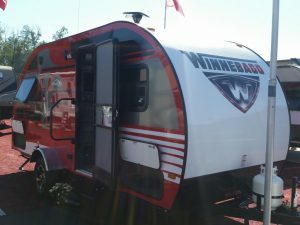 Winnebago Towables introduces a brand-new, lightweight retro teardrop travel trailer. This retro Winnie Drop 1780 teardrop trailer by Winnebago Towables is super functional and ready to go! 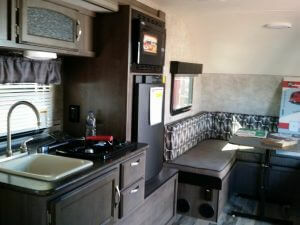 Featuring a front u-shaped dinette for seating, dining, and even added sleeping space with the table folded down. 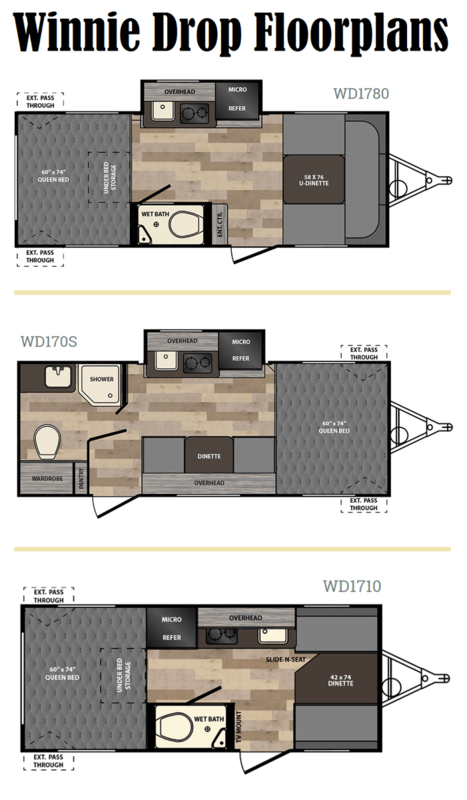 The Winnie Drop comes in 5 exterior colors and eventually four floor plans. 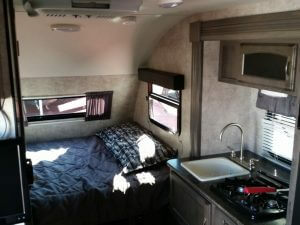 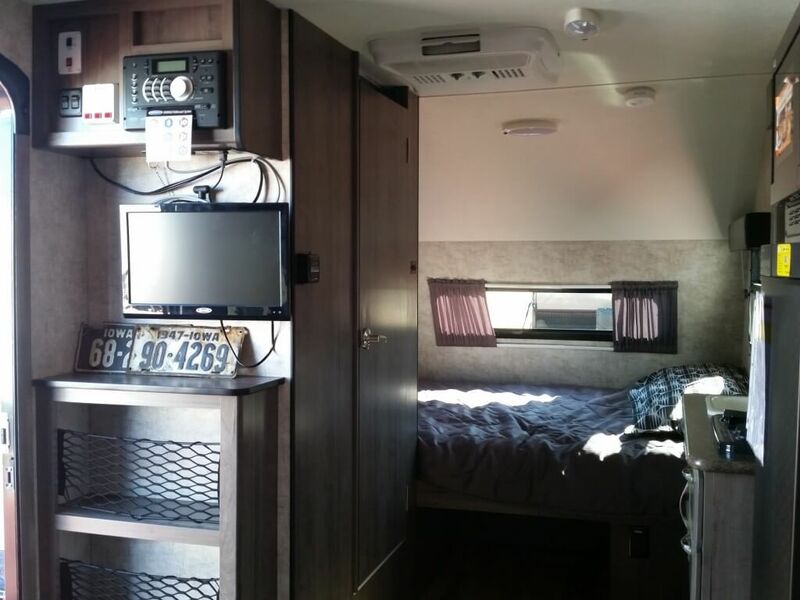 This unit also features a rear queen bed with underbed storage, plus complete kitchen and bath amenities. There is a wet bath with shower and toilet along the curb side just around the corner from the door. You can easily cook up light meals and snacks in this Winnie Drop with the slide out refrigerator and microwave oven, two burner cook-top, and single bowl sink. 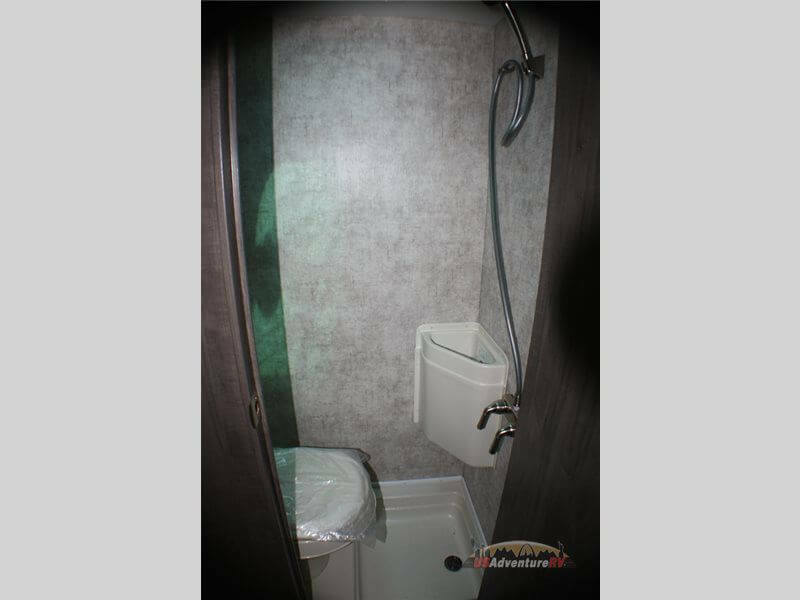 There are also overhead cabinets for your dishes. Just inside the entry door on your left is a TV cabinet that you can add a optional flat screen TV. 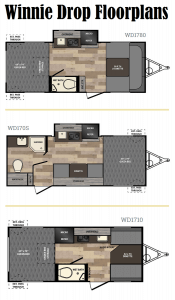 The Winnie Drop seems to be the perfect blend of style, compactness and function.